Currently browsing articles with a topic of "smallmouth". I’ve been off the Bay for well over a week due to some work commitments that took me north to Minneapolis, Minnesota. When this destination was first announced, some of my colleagues were disappointed because of the location. Not me. 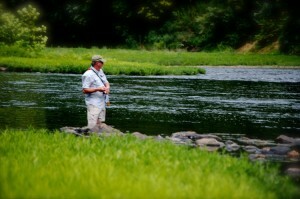 There aren’t many places I’d rather be because I know how much fun June fishing can be in that part of the country. My first stop was the Minnesota Fishing Museum. It’s located north of St. Cloud in the small town of Little Falls on the Mississippi River. That’s about a hundred miles north of Minneapolis. I’m a big fan of vintage fishing equipment so I had high hopes for the museum. I wasn’t dissapointed. You name it, they had it – everything from antique minnow buckets to classic lures to vintage outboards with even a few old fishing-themed whiskey bottles in the mix. Before we left I asked some ladies at the front desk if there was anyplace close where I could fish the Mississippi River. They told me that most people fished the lakes, but there was a place I could try not too far away. I’ll let the video tell the story, but suffice it to say the fishing was good at Blanchard Dam. I’ve heard a lot of good stories about the Mississippi this far north, but never tried fishing here. Every strike brought a different species and I even managed to make some new friends. I even got in some rock hunting, another favorite pastime. “Cross rocks,” they call them. Staurolites that look like Maltese crosses, there are only two other places in the world where they can be found. I never would’ve known except for a fellow I met named Ringwelski. I hit it off with him right away. While it took me ten or fifteen minutes to find a single stone, he could pick them up in a matter of seconds. We fished together two evenings. He told me he owned a farm a few miles up river. 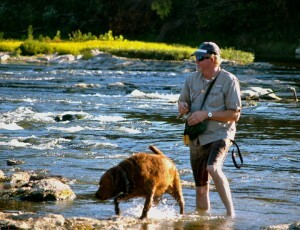 Besides being a good rock hunter, he was an excellent fisherman. Read More! I recently discussed light tackle with some fishing buddies over a bottle of Tennessee’s finest. We all agreed that casting artificial lures on the Chesapeake Bay has the potential to catch as many big fish as any other method. I believe the chances for a trophy striper are better for those who know how to handle a light stick. Until a couple of years ago, most Mid-Atlantic fishermen would have laughed at a statement like that, but not anymore. 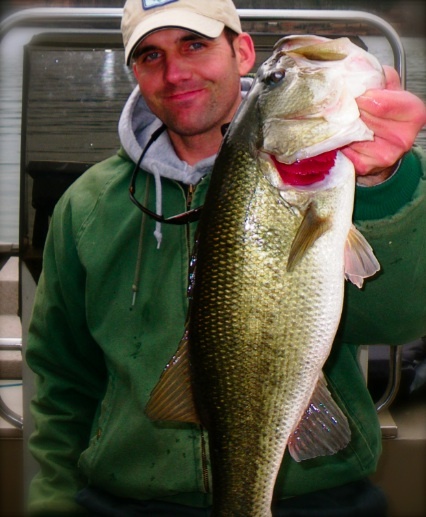 Throughout 2010, light tackle casting held its own and often out-produced other methods of Chesapeake Bay fishing. It’s encouraging to walk into bait shops and tackle stores now and see Bass Kandy Delights, Bass Assassins, and top water plugs displayed prominently at the end of the aisles beside umbrella rigs and parachute lures. I’m very happy to promote light tackle fishing for one main reason – I don’t know a single light tackle fisherman who isn’t a conservationist. 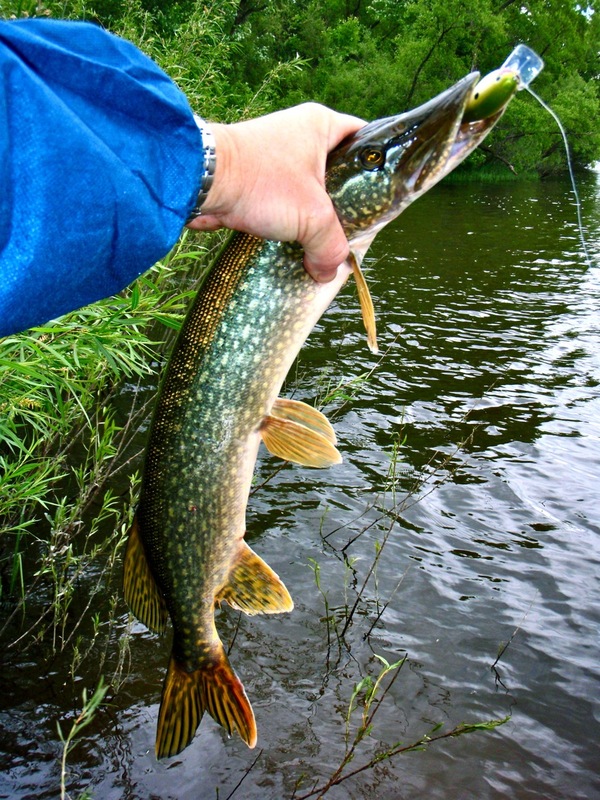 It is absolutely clear that anglers who cast artificial lures are hard-wired to protect the fish and to take care of the water they fish in. Read More! I had to pull a night shift at work this week, so I decided to reset my circadian clock with an early morning of smallmouth fishing on the Susquehanna river. Last July, I invited Bill Montgomery to join me for a Chesapeake Bay top-water striper trip near Poplar Island. 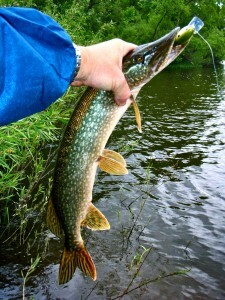 Bill and I hit it off after finding we shared interests in both fishing and acoustic music. Bill returned my fishing favor by inviting me up to Pennsylvania to see one of his favorite bass spots. He fishes occasionally with his friend Dennis Mongold who is a smallmouth bass guide specializing in this section of the Susquehanna. I met them near Harrisburg where we loaded up in Dennis’s custom made aluminum jon-boat. The boat is specially outfitted for fishing this section of the rocky river. Dennis has his jet-drive outboard mounted on a hydraulic lift so he can adjust the draft for very shallow water. The bottom of the boat is coated with hard plastic so it can easily skim over the rocks. I’ve done a lot of river fishing, but this is the first time I’ve been on a boat running thirty miles per hour in four inches of water. I admit I was a little unnerved! Read More! 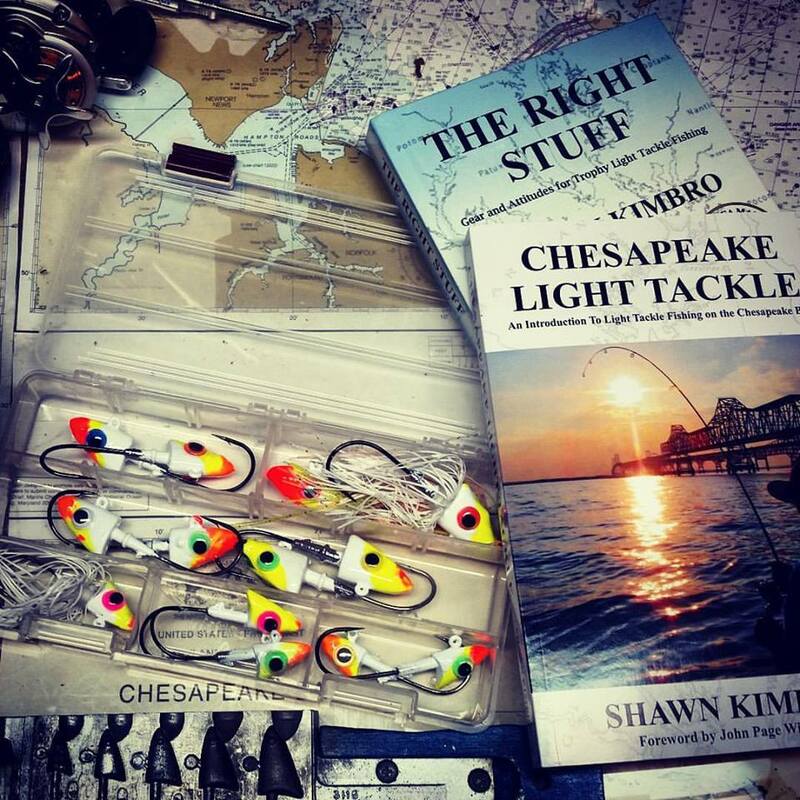 Chesapeake Light Tackle readers are sure to recognize the striper techniques I recommend as little more than modified methods for catching freshwater bass. I have little use for the heavy trolling gear or live bait most Chesapeake Bay fishermen feel they need to be successful. 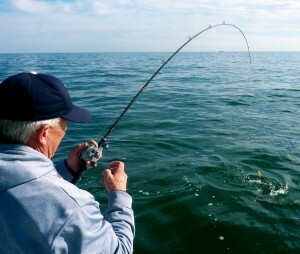 A bass is a bass and it’s a lot easier to land a 40 pound striper in the unobstructed open water of the Bay than it is to land a 5 pound smallmouth in heavy cover. Since I’ve concentrated so intently on striper fishing over the past four years, I’ve felt like I might be getting a little behind the freshwater bass fishing curve. Let’s just say my street cred has been slipping with the freshwater bass crowd. So, when my wife offered me a week-long opportunity to fish anywhere I wanted as a birthday gift, my choice of venues came easy. 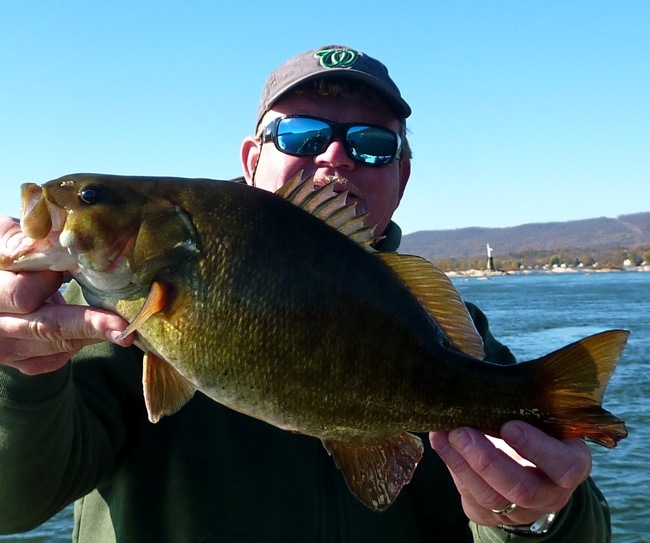 Instead of marlin fishing in the mid-Atlantic, trout casting in the northwest, or redfish chasing in Florida, I chose large and smallmouth bass fishing near my old haunts in the Tennessee Valley. Read More! Top-water fishing in the mid-Bay shallows has been nothing short of amazing lately, but I’ve had other pursuits in mind. This past weekend was not a good time to fish the Chesapeake Bay. Sailors, cruisers, tourists, kayakers, fishermen and excursionists of all kinds flock to the Bay by the thousands for Labor Day’s last long taste of sweet sweet summer. This week, there’s a hint of fall in the air. Local marinas are running winterization specials as many boaters put their rides away until next spring. Early flocks of migratory waterfowl are taking flight toward the south. The Spanish mackerel are high-tailing it toward the capes. The female ospreys are almost gone while the smaller males make a few final dives before starting their trans-continental journey toward the Amazon. For many, this is a depressing time of year, but for the light tackle angler it’s the start of the most productive season of all. To celebrate the impending fall and avoid the holiday crowds, I like to head north toward the mountains. The green flash of a smallmouth bass leaping into the blue sky out of a sparkling stream is more spectacular than any Labor Day fireworks. Read More!